What are brutalist websites? They seem to contradict every website design trend that is currently popular. Brutalist websites deliberately look bad and are hard to use. Basically, brutalist websites look like they were created in the year 2000, that haven’t been updated since. They’ve become popular as an alternative to easy, nice, websites that are popular today. Why do Brutalist Websites exist? Well, these websites have started cropping up for a few reasons. One reason is that people want to create their own, individual websites. They want websites that can’t be re-created on WordPress, or Squarespace. Owners of brutalist websites create them by themselves, in hand-coded HTML. Another reason these sites are popular is that people want to show that we can still create interesting websites without all of today’s best practices and trends. It’s anti-establishment, and harsh. Even the color schemes are usually tough to look at. 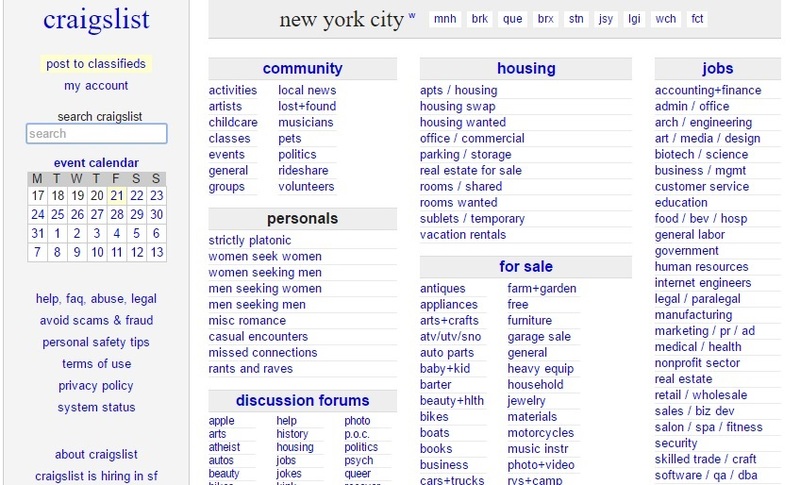 For example, craigslist can be considered a brutalist website — and it also happens to be very successful. “Brutalist” websites got their name from Brutalist Architecture, a design movement during the 1950’s-1970’s. During this time, people created large, generally concrete, unattractive buildings. We could say the history of brutalist websites began with the invention of the World Wide Web. 15 years ago, all websites were brutalist websites. But, in the last 7 years there has been a major shift in website design. Today, websites are attractive and easy to use. Brutalist websites have started cropping up in the last couple years as a return to the old ways. These sites aren’t meant to please visitors; rather, they are an expression of the creator. Overall, we don’t recommend a brutalist website design if you’re a business. However, if you’re an artist, a nonconformist, or someone who wants to practice hand-coded website design, try it out! There is something appealing about going against the status quo.